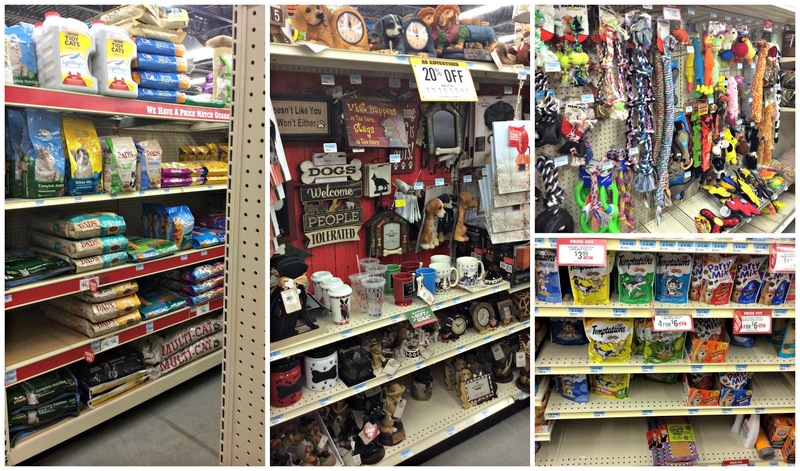 This post is sponsored by Tractor Supply Company and the BlogPaws Professional Pet Blogger Network. I am being compensated for helping spread the word about Tractor Supply Company but Mochas, Mysteries and Meows only shares information we feel is relevant to our readers. Tractor Supply Company is not responsible for the content of this article. My love of Tractor Supply Company® is no secret. Until a store opened up a couple miles down the road from me, I was known to drive an hour north to the nearest location, especially during the holiday season to check out their selection of country Christmas decor. Contrary to what many think, TSC isn't just for farmers! 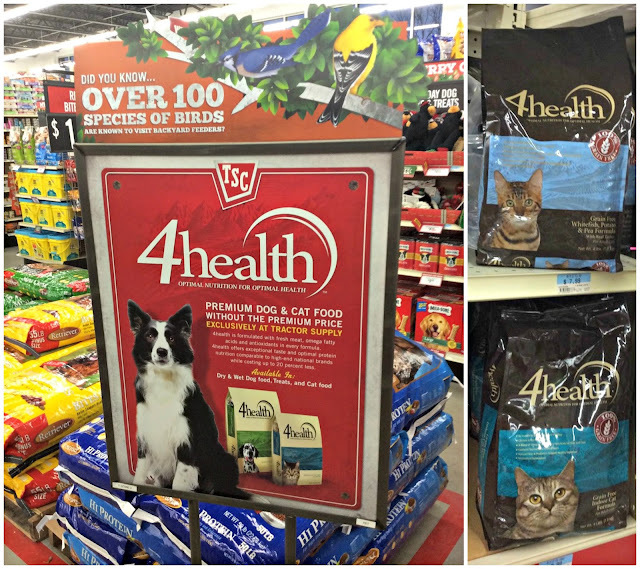 They have everything you need for the health and well-being of your pet, such as flea preventatives, supplements and training devices. Their 4health™ brand provides affordable, premium cat and dog food, exclusive to Tractor Supply and made in the USA with high-quality and grain-free formulas. Most importantly they have loads of toys and treats to fulfill your cat or dog's Christmas wish list! This year they also have a large variety of gift ideas for dog lovers, and I'm hoping that next year they will do the same for cat people! One of the many things I love about TSC is that they are a huge supporter of animal rescues. They host a social media contest every year that awards a total of $25,00 in grants to 10 deserving organizations. On a local level, they make their stores available for rescue groups to host adoption events and fundraisers, as well as providing low-cost, walk-in clinics through PetVet Clinics. Stores that give back to their community, especially to animals, will always be the first places to receive my hard-earned dollars. 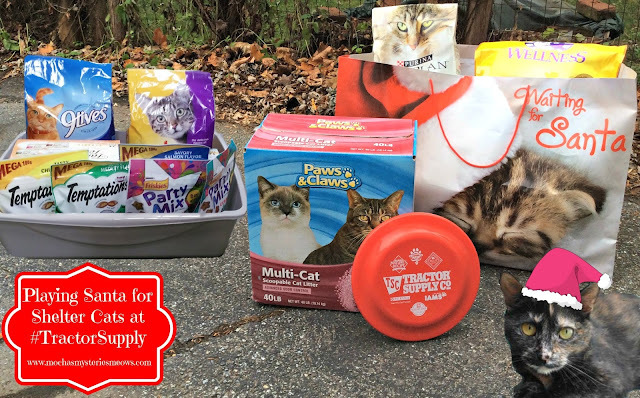 Last year I joined the cat blogging community in the Santa Kitty Toy Hop, a way to brighten the lives of shelter kitties in our own communities with the gift of toys and treats. They deserve a special Christmas while waiting for their forever homes too! Receiving pictures of the cats at Franklin County Animal Rescue, Tara and Truffles' alma mater, enjoying their goodies was one of the highlights of my holiday season. It was a way to thank the shelter for the gift of my beautiful fur babies. This year I also planned to send some gifts to the shelter I adopted Mudpie from, as well as Save Our Strays, a small local rescue run by a wonderful couple where Angel Sashi came from. Needless to say, I had some serious shopping to do! And then it was time to put on our Santa Claws hats and start making deliveries!!! Many, many thanks to Tractor Supply for their generosity to needy cats and dogs in our communities. Please consider shopping with them for all of your pet care needs. Connect with our friends at TSC on Facebook, Pinterest and Instagram. 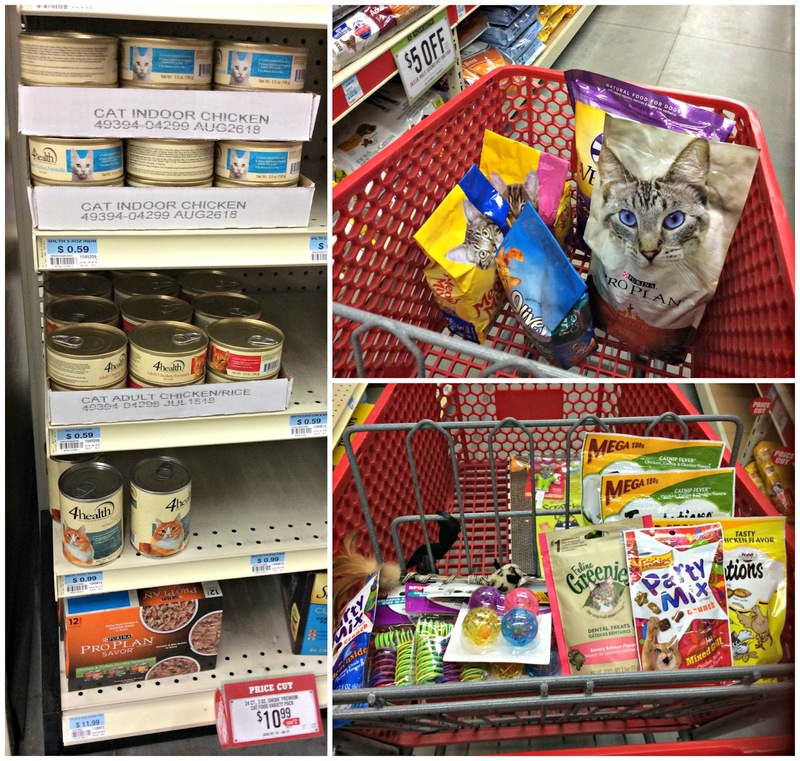 Are you doing any Christmas shopping for the animals shelter in your hometown this holiday season? What a great store so you can shop for all sorts of things for all sorts of pets. We are so jealous. Our Tractor Supply is crazy-far from us, and the head peep keeps hoping they'll open another one that's not so inconvenient so that she can shop there more regularly. We have a Tractor Supply Store not far from us but the mom has yet to go there. She definitely needs to make a trip! And paws up for a great donation to the shelter! Mom did a search on their website and found out that they have a store about 18 miles from us! She can't wait to go check them out! 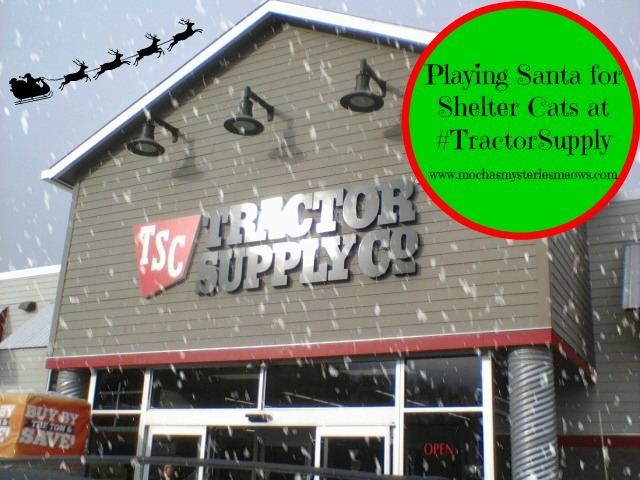 I love Tractor Supply and now I love them even more knowing how giving they are. That's really awesome, Melissa! 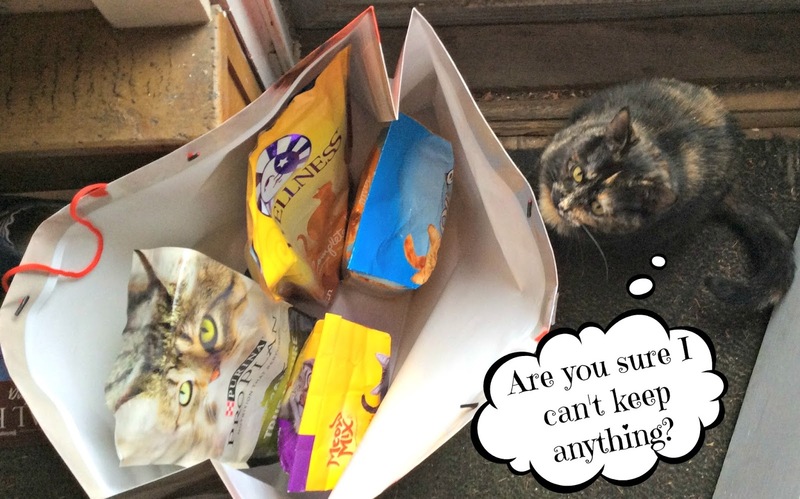 I know the kitties will love all the goodies you got them! My Significant Other and I go to Tractor Supply Company as part of a traditional day trip to his home town...haven't done that for a while, and I've missed it. He tries to leave a fair bit of money in the old home town, so I've had the opportunity to check out what they have. Lots of good stuff. I've not told my cats about the live baby chickens! That is so cool! I almost wish I had one nearby so I could have participated. OMC! You were able to make a terrific donation. Don't you love the dog and cat knick knacks?! That's so awesome! How great that you have a store so close by - it looks like they have everything!